Recently Michelle Nicolini announced her retirement from competitive BJJ to pursue her career in MMA. Here is her full interview with BJJ Forum BR translated to English. Here she shares some genuine insight on her success and her future. Enjoy! BJJ Forum: Michelle, is the World IBJJF going to be your farewell to Jiu Jitsu competitions? Are you going to “hang up the kimono”? Does it also include the ADCC and any other fights? Michelle Nicolini: I’m going to hang up my kimono when it comes to usual competitions. Who knows about single fights and ADCC? Maybe I can reconcile it and fight, within my conditions. But it’s not in my plans for the next 24 months. What led you to make this decision and how difficult was it while knowing that you still compete at the highest level in this sport? What led me to make this decision was my desire to challenge myself in a new modality. I want to do other things and someday I would have to stop practising Jiu Jitsu. It feels like my penny hasn’t dropped yet, although I took this decision months ago. It certainly was the most difficult decision of my life. Especially because most of the people stop it because they got injured or because the girls got pregnant. I still have a lot of energy and desire to fight, but right now it’s going to be a new chapter. We interviewed you back in October 2014, and you said you would focus on MMA but you would not abandon Jiu Jitsu competitions. What has changed since then? My goal has changed. I realised that I’ve only got to where I am today in Jiu Jitsu because I dedicated myself 100% to it. I haven’t done anything during the past 16 years other than training and thinking about the championships, diets, seminars, business trips, etc. If I don’t have at least half of this dedication to MMA, I will remain in the same spot, fighting in smaller events, winning one and losing another, and I don’t want that. I feel like I still want to win many titles yet and now is the time to conquer it through MMA. 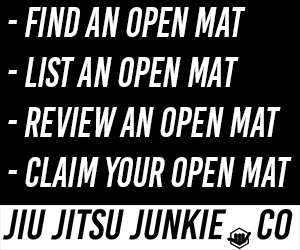 How do you evaluate your history in Jiu Jitsu? While looking back at the past 10 years, do you think there is something missing? Any title? Would you like to have done something different? I believe I have done and achieved everything I decided to conquer. At the IBJJF championships, the absolute Pan American title is missing (I was the runner-up in 2008). I’m very fulfilled by my career, really! Who would you point as the biggest rival in your career? Biggest rival? I think Luanna Alzuguir, I’ve never won in kimono against her. Before the black belt, Michelle Tavares was my rival, and Vanessa in the blue belt, who was Polianna Lago’s student, haha. Too much war! And the happiest moment of your career, which one would it be? Your greatest achievement? Oh man, there were so many… But I think it was the last few years when I was fighting at the World Jiu-Jitsu Championship and we had the whole crowd there, people from my Checkmat team, from the THFC Santos academy where I train, there were so many messages everyone sent me before the championship, it makes me happy. My greatest achievement is sporting 8 worldwide black belt kimono titles. I see many young folks earning one or two titles and already talking about retiring. Thank God I’m full of health and energy so I can train. It also makes me happy! I love to train and to help the girls from the team. Let’s leave the past a little bit to the side and let’s talk about the future. What are your next steps in MMA? Do you already have a fight scheduled or have you signed a contract with any event? At the first week of July, I’m going to present myself at Evolve MMA in Singapore. They’re planning my debut to happen in September at One FC. I don’t know with who, or when is the exact day yet, because my focus is on the World Championship, but soon we will know. What about the decision to literally cross half the world and move to Singapore? What motivated you? There I found what I was looking for a long time. A great proposal of workout, job, salary, stock and a great place to live. It all married each other and succeed. I love my life and the way I take it, I would only move if the proposal was very good, and it was!! The downside: Stay away from my family. You will be training full time at Evolve MMA, one of the teams with the best human material in the world (Rafael dos Anjos, Bem Askren, Shinya Aoki, among others). You spent a week there training, and now you’re back to stay. How was your experience there? Their team of athletes is great and their team of coaches is even better. Most of them are world champions at some fight modality. I felt very safe. I was invited to spend a week training there but I didn’t know they were going to propose me to be one of their athletes. During my first training, I realised that several coaches were watching me and I tried to show them my best (laughs), but I was out of shape. Stand up training is not like Jiu Jitsu for me. If I don’t train I get uncoordinated, haha. Anyway, I tried very hard, they invited me to run in the street and I did it, and then I had to climb the stairs and I also did it, haha. Muay Thai, NOGI, Sparring and so it went. At the last day, the head coach called me and made the proposal. I think he liked the fact that at least I’m hardworking, haha. What they are doing for me is something that I don’t know if I could have elsewhere. They are investing in a brutal way and I found it incredible. I felt that if I didn’t grab this opportunity now, later on I would look back and say “If I only had gone to Singapore …”. That’s it, changes are never easy especially when you’re happy in the middle that you coexists, but I know this is only going to bring me benefits and I will go far away to seek this dream of becoming an MMA champion as well. Thanks for the interview, Michelle! And good luck at this new stage! Would you like to leave any last consideration or appreciation?